So this iPhone in question won't charge the battery and wont power up unless its plugged in via wall outlet. Ive tested a new battery and new dock connector, still can't get the battery to charge properly. However, after some looking around I found that some resistors(i think?) near the battery connector seem to have come off. I believe this may be the problem. It seems like the leftmost one has come off and possibly the one next to it as well. You can see them more clearly in the ifixit picture seen here. Im thinking if i can use the circuitwriter pen to try and make jumper or something. Any thoughts? Willow24---circuit writer is a really bad idea here. 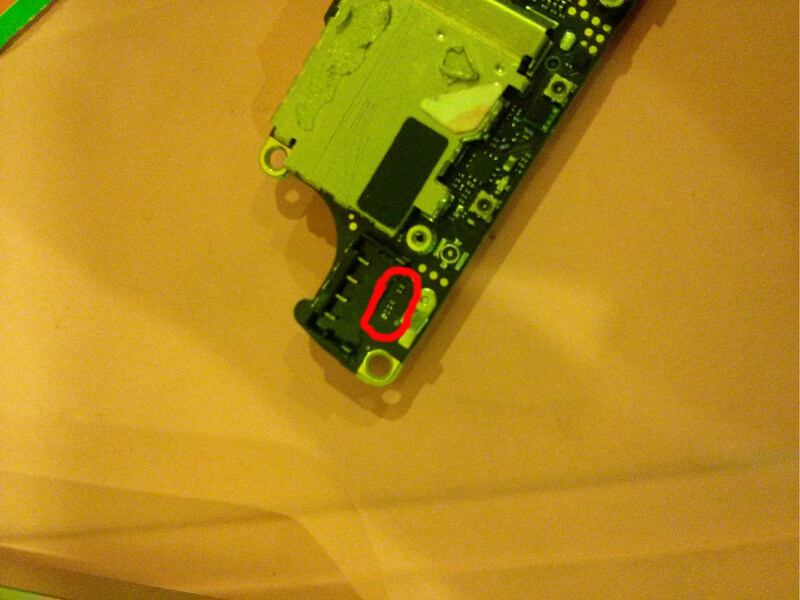 Waaaaaay too big of a blob of conductive material to drop in a phone. If you bridge the two side of any of these caps, your whole phone will be shorted out. Give it a shot to try to solder some jumper wires. It is tiny, but you can do it if you're only missing one pad. If you're not able to get it, send it out for repair to me or one of the other microsolderers. It is solvable for sure. Jose Escobar, all those components are part of your battery connection. So, anything bypassed may lead to errors. we all know how finicky iDevice are when it comes to the battery. your images was a bit hard to interpret, I edited it and added the components to that. The capacitors may be by-passable but I'd be careful with the resistors. Anyhow, just like Mitch said, and I paraphrase, it's a PITA to solder those back on. You will definitely be good at it before attempting. Hope this helps, good luck. @olivier beaulieu, that is correct 0ohm 1/32watt. 0 ohm resistors are often called jumpers. For leaded jumpers, you just use a piece of wire. For SMD you need to use the same housing as a normal resistor for jumpers. so where would we connect the wires from the terminal to the resistor? Thank you for the solution. It worked! I just replaced R61 and R153 with wires and now my iPhone works fine. If you can compare your board with a photo on here and you see something missing then your idea to jump your board with a writer pen is worth a try, its a heck of a lot safer than trying to solder something that small if your not set up, good luck and I want to know how this turns out. 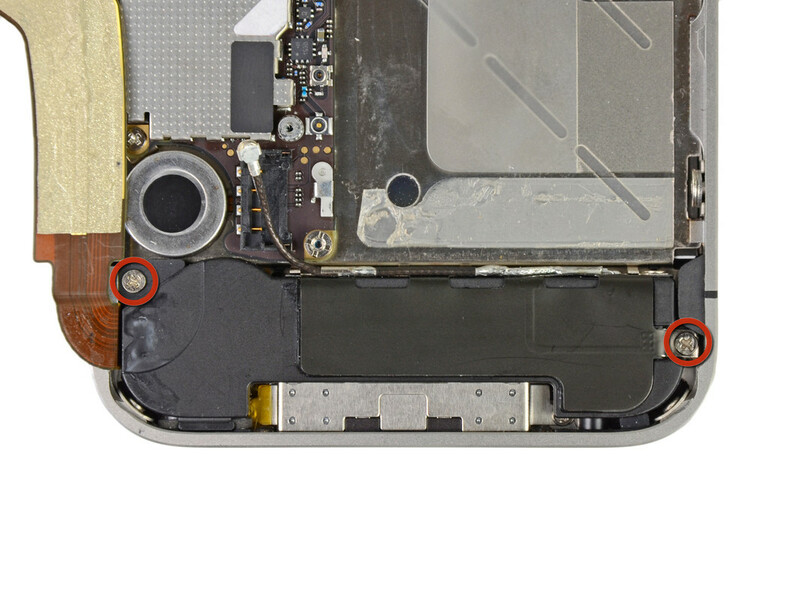 In answer to the original question here---the capacitor that is knocked off in the picture isn't relevant to the problem, (in my experience). "the capacitors may be by-passable"
No, it's the other way around for DC. The caps you may be able to do without, depending on their exact role. The resistors will be by-passable if they are 0 ohms. I guess they must act as some kind of fuse, or place holder for possible future resistors (in later revisions of the phone) that aren't 0 ohms. Jose Escobar zal eeuwig dankbaar zijn.